These are two gardenias I got about 11 years ago. They’ve gotten huge! I’ve been spending a lot of time trying to get the pool clean. It’s been slow going though. I’m having a bit of a problem with algae, but I think it’s finally been conquered. After I walk the dog tonight, I’m going to jump in! 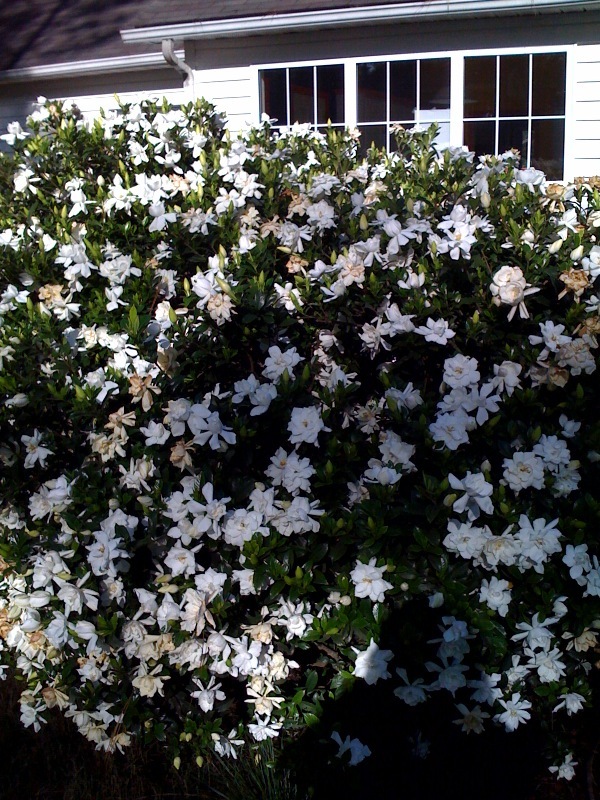 Gardenias are my all-time favorite plant… how i wish I had a tree like yours to smell!! !